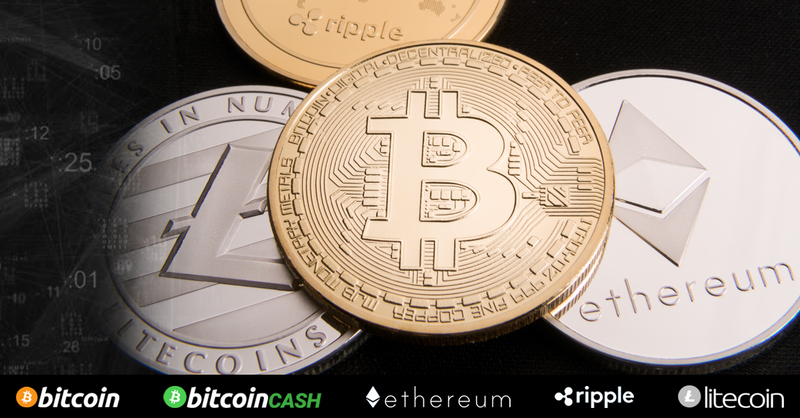 Spread betting and CFD provider InterTrader now offers CFDs on the price of Bitcoin, Ethereum, Bitcoin Cash, Litecoin and Ripple, via the MT4 platform. This means that clients can go long or short of the value of any of these cryptocurrencies, without having to make a physical purchase or use a digital wallet. All trades are made via fast, market-neutral execution on the popular MT4 platform. The CFDs are offered on tight dealing spreads with deep liquidity. Due to the volatile nature of cryptocurrencies, traders are looking for reliable ways to take a view and trade large swings in value. CFDs are a flexible vehicle, enabling traders to go long or short of cryptocurrency prices while putting down only a margin deposit. InterTrader is a regulated broker and all client funds and deposits are held in segregated client accounts. Client funds are also protected by InterTrader’s innovative parental guarantee. The parent company of InterTrader Ltd is GVC Holdings PLC, a FTSE 250 company with a market cap in excess of £5.6bn (April 2018). Spread betting and CFD trading are leveraged products and as such carry a high level of risk to your capital which can result in losses greater than your initial deposit. These products may not be suitable for all investors. Ensure you fully understand all risks involved and seek independent advice if necessary. InterTrader is a spread betting and CFD provider with a record of innovation, from market-neutral execution on all trades to their parental guarantee protecting clients’ funds. They offer direct, flexible and transparent trading on shares, indices, forex, commodities and more. Traders can choose from a range of desktop and mobile platforms, supported by a free suite of trading tools including pro-level charts, trading signals, expert research and a trader education programme. InterTrader is a trading name of InterTrader Ltd, which is part of GVC Holdings PLC, the multinational sports betting and gaming group. InterTrader Ltd is authorised and regulated by the Gibraltar Financial Services Commission and registered with the Financial Conduct Authority (FCA) in the UK, ref 597312. Registered address: Suite 6, Atlantic Suites, Europort Avenue, Gibraltar.